We are huge fans of dishwashers. They help save time and make cleaning your dishes very convenient. And you use your dishwasher as much as we do, this appliance has become a bit of a workhorse. 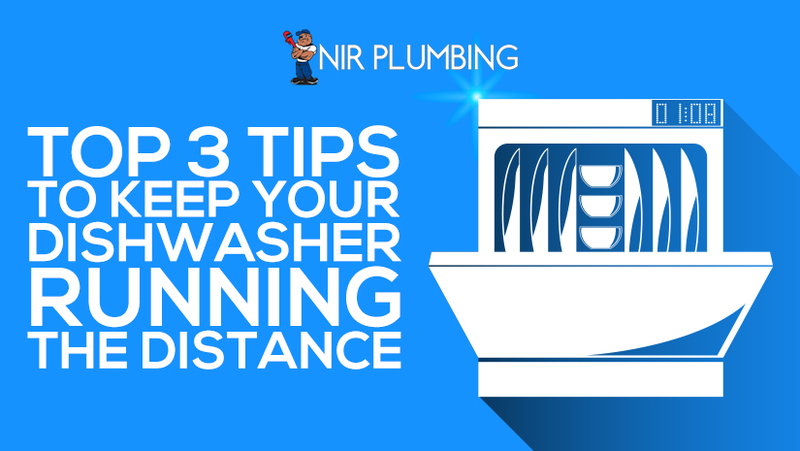 So if you feel like your dishwasher isn’t working as well as it once did here are three tips to help your dishwasher run better. We would love it if all the food particles would disappear after each load, but that is just not possible. We recommend checking the food trap at the bottom of your dishwasher, under the lower sprayer. This piece is usually removable, and in there you can find larger particles that couldn’t make it any further. We also recommend running an empty load with a cup of white vinegar thrown into the bottom of the dishwasher. It helps clean out food particles and keeps things smelling fresh. Some new models of dishwashers set their water temperatures lower. But hot water is always the best way to get the cleanest dishes. Your water temperature should be set at around 120 degrees. Anything hotter and your water can flash dry leaving behind residue. You can also run hot water in your sink before starting your load. This ensures that your washer begins with hot water instead of warming up as the cycles continue. An overcrowded dishwasher does not clean as well as a balanced dishwasher. This may be common sense, but this is probably the number one reason why dishwashers don’t work as well as they could. Also, if you are putting in plates with dried food particles in and expecting them to come out sparkling clean, you will probably end up with a different result. Rinsing off your dishes ahead of time allows fewer food particles into your washer, keeping it cleaner overall. If you feel like your dishwasher is not running to its full efficiency, please give these tips a try. Or you can call us at NIR Plumbing. We love to help you with any plumbing issues.